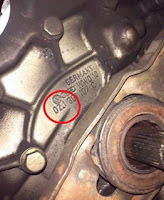 This post discusses a fault that causes a noise in the area of the vehicle's gearbox when driving on the road, until eventually the 5th gear cannot be engaged. 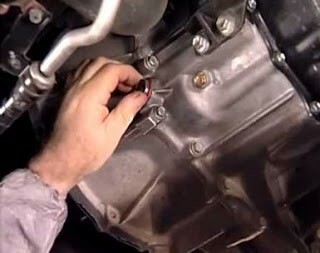 Noises in the gear shifting area when driving the vehicle, regardless of the speed at which it is driven. 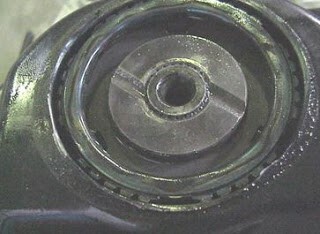 After taking the vehicle for a test drive, check the oil level in the gearbox. 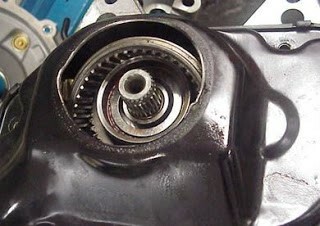 The 5th gear locking ring has jumped from its housing, causing the whole drive assembly, along with the moveable mechanism for 5th gear, to be out of its working position. 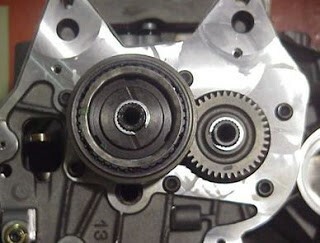 * Breakage of the 5th gear lock ring assembly. * Causes a hole in the cover with loss of 5th gear components. 1. 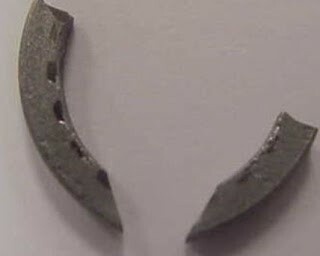 If the gearbox has been in use for many kilometres with a perforated cover there may be seizures inside and damage in the internal mechanisms caused by aluminium particles etc. 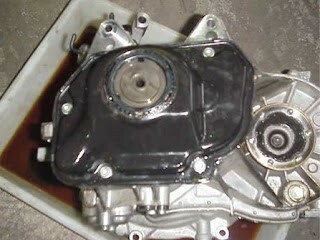 In these cases the gearbox must be replaced.